Imprint Method: Decal, Imprint Method: Direct Print - The convenient carrying case clicks and pops open to reveal approximately 0.5 oz of sugar free mints in this Tek Klick metal tin. 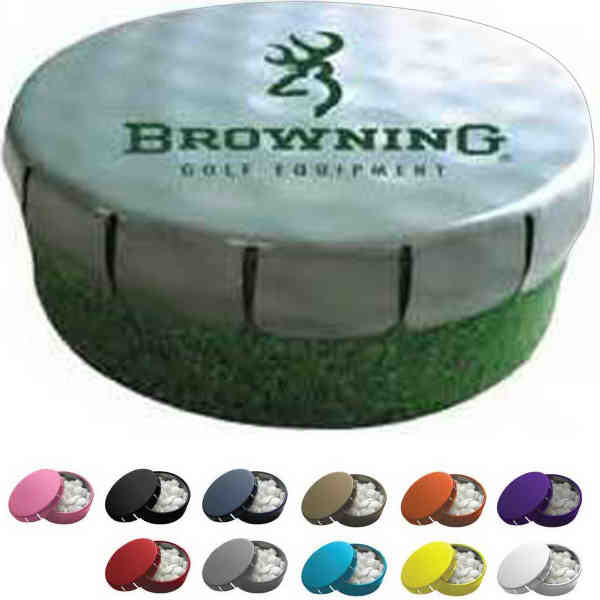 Includes a full-color decal or one color direct print for your customized retail look. These mint storage tins are great to give away at conventions, hotels and more. Size: 1.813 " x 0.625 "
Price Includes:full color process decal or 1-color direct print. Price Includes: Includes full color process imprint. Price Includes: Per imprint change. Price Includes: Per imprint color change. Price Includes: Per PMS matched imprint color. Please note: We do not guarantee exact color match.